If a particular service requires you to register, or if you elect to become a registered member of the Business Communication Network (“Member”), you must complete the registration process by providing us with current, complete, and accurate information as prompted by the applicable registration form. The Business Communication Network will not be liable for any loss that you may incur as a result of someone else using your name or e-mail address, either with or without your knowledge. Use the Business Communication Network in any manner that could damage, disable, overburden, or impair any or interfere with any other party’s use and enjoyment of the Business Communication Network. Attempt to gain unauthorized access to any computer systems or networks connected to the Business Communication Network, through hacking, mining, or any other means. Obtain or attempt to obtain any materials or information through any means not intentionally made available through the Business Communication Network. Use the Business Communication Network in connection with surveys, contests, pyramid schemes, chain letters, junk email, spamming, or any duplicative or unsolicited messages (commercial or otherwise). Publish, post, upload, distribute, or disseminate any inappropriate, profane, defamatory, obscene, indecent, or unlawful topic, name, material or information. Publish, post, upload, distribute, or disseminate any topic, name, material or information that incites discrimination, hate, or violence towards one person or a group because of their sexual orientation or due to their belonging to a race, a religion, or a nation. Use any material or information, including images or photographs, which is made available through the Business Communication Network in any manner that infringes any copyright, trademark, patent, trade secret, or other proprietary right of any party. 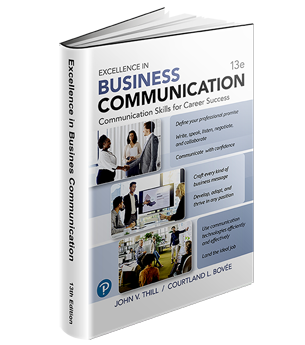 Use the materials and services produced on the Business Communication Network for the purpose of writing textbooks that compete with the textbooks displayed on the Business Communication Network and authored by Courtland Bovee and John Thill. Use the Business Communication Network for any purpose for which it is not intended. Note: The purpose of the network is to provide materials and services to Instructors who have adopted, and to students who are using, a textbook authored by Courtland Bovee and John Thill. Upload files that contain viruses, Trojan horses, worms, time bombs, cancelbots, corrupted files, or any other software or programs that may damage the operation of another’s computer or property of another. Falsify or delete any author attributions, legal, or other proper notices or proprietary designations or labels of the origin or source of material contained in a file that is uploaded. The Business Communication Network does not control or endorse the content, messages or information posted on the Business Communication Network’s websites or transmitted via any Business Communication Network service (“Content”) and does not guarantee the accuracy, integrity, or quality of such Content. The Business Communication Network specifically disclaims any liability with regard to the Content, including, without limitation, liability for any errors or omissions, or for any damage incurred as a result of the use of Content. Views expressed on the Business Communication Network website do not necessarily reflect those of the Business Communication Network. Contributors to the Business Communication Network’s websites may or may not have an interest in a company or product they are discussing. The decision whether to disclose that information is theirs to make. The Business Communication Network does not guarantee the veracity, objectivity, reliability, or completeness of any information provided on the Business Communication Network’s websites or on any Linked Website. By using the Business Communication Network, you may be exposed to Content that is offensive, indecent, or objectionable. You must evaluate, and bear all risks associated with, the use of any Content, including any reliance on the accuracy, completeness, or usefulness of such Content. Content on the Business Communication Network’s websites may be subject to posted limitations on usage, reproduction, and/or dissemination; you are responsible for adhering to such limitations if you download the Content. You agree not to sell, resell, or offer for any commercial purposes, any use of the Business Communication Network’s services or access to the Business Communication Network. The Business Communication Network does not claim ownership of the materials you provide to the Business Communication Network or post, upload, input or submit to the Business Communication Network for review by the general public, or by the members of any public or private community (“Submission”). However, by posting, uploading, inputting, providing, or submitting your Submission, you are granting the Business Communication Network and necessary sublicensees permission to use your Submission in connection with the operation of the Business Communication Network, including, without limitation, the license rights to copy, distribute, transmit, publicly display, publicly perform, reproduce, edit, translate, and reformat your Submission; and to publish your name in connection with your Submission. No compensation will be paid with respect to the use of your Submission. The Business Communication Network is under no obligation to post or use any Submission you may provide and the Business Communication Network may remove any Submission at any time in its sole discretion. By providing a Submission you warrant and represent that you own or otherwise control all of the rights to your Submission as described in these Terms including, without limitation, all the rights necessary for you to provide, post, upload, input, or submit the Submission. The Business Communication Network may establish practices and limits concerning use of the Business Communication Network. While the Business Communication Network will use reasonable efforts to back up the Business Communication Network data and make such data available in the event of loss or deletion, the Business Communication Network has no responsibility or liability for the deletion or failure to store any messages, other communications, Submissions, or other Content maintained on the Business Communication Network or transmitted by the Business Communication Network. The Business Communication Network reserves the right to archive any Content or to mark as “inactive” and archive accounts that are inactive for an extended period of time. You agree to indemnify, defend, and hold harmless the Business Communication Network and its affiliates and their respective officers, employees and agents, and any of the Business Communication Network website subsidiaries, affiliates, or partners, from any and all claims or demands, including reasonable attorneys’ fees, made by any third party due to or arising out of your acts or omissions, including claims arising out of your use of the Business Communication Network, your Submissions, your transmission of information via the Business Communication Network, or your violation of these Terms or any Rules. 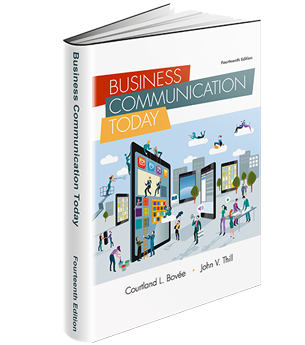 YOUR USE OF THE BUSINESS COMMUNICATION NETWORK IS AT YOUR SOLE RISK. THE BUSINESS COMMUNICATION NETWORK’S SERVICES ARE PROVIDED ON AN “AS IS” BASIS AND “AS AVAILABLE” BASIS AND THE BUSINESS COMMUNICATION NETWORK ASSUMES NO RESPONSIBILITY FOR THE TIMELINESS, DELETION, MIS-DELIVERY OR FAILURE TO STORE ANY OF YOUR COMMUNICATIONS OR PERSONALIZATION SETTINGS. YOU WILL BE SOLELY RESPONSIBLE FOR ANY DAMAGE TO YOUR COMPUTER SYSTEM OR LOSS OF DATA WHICH RESULTS FROM THE USE OF THE BUSINESS COMMUNICATION NETWORK. THE BUSINESS COMMUNICATION NETWORK EXPRESSLY DISCLAIMS ALL WARRANTIES OF ANY KIND, WHETHER EXPRESS OR IMPLIED, INCLUDING WITHOUT LIMITATION, THE IMPLIED WARRANTIES OF MERCHANTABILITY, FITNESS FOR A PARTICULAR PURPOSE, AND NON-INFRINGEMENT. SPECIFICALLY, THE BUSINESS COMMUNICATION NETWORK MAKES NO WARRANTY THAT (1) THE BUSINESS COMMUNICATION NETWORK WILL MEET YOUR REQUIREMENTS, (2) YOUR ACCESS WILL BE UNINTERRUPTED, TIMELY, SECURE, OR ERROR-FREE, (3) THE QUALITY OF ANY CONTENT, PRODUCTS, SERVICES, INFORMATION OR OTHER MATERIAL YOU OBTAIN WILL MEET YOUR EXPECTATIONS, AND (4) ANY ERRORS IN THE BUSINESS COMMUNICATION NETWORK WILL BE CORRECTED. WE DO NOT GUARANTEE CONTINUOUS UNINTERRUPTED OR SECURE ACCESS TO THE BUSINESS COMMUNICATION NETWORK. OPERATION OF THE BUSINESS COMMUNICATION NETWORK’S WEBSITES MAY BE SUBJECT TO INTERFERENCE FROM NUMEROUS FACTORS OUTSIDE THE BUSINESS COMMUNICATION NETWORK’S CONTROL. FURTHER, SCHEDULED AND PREVENTIVE MAINTENANCE AS WELL AS REQUIRED AND EMERGENCY MAINTENANCE WORK MAY TEMPORARILY INTERRUPT SERVICES OR ACCESS TO THE BUSINESS COMMUNICATION NETWORK’S WEBSITES. THE DISCLAIMERS OF WARRANTY AND LIMITATIONS OF LIABILITY APPLY, WITHOUT LIMITATION, TO ANY DAMAGES OR INJURY CAUSED BY THE FAILURE OF PERFORMANCE, ERROR, OMISSION, INTERRUPTION, DELETION, DEFECT, DELAY IN OPERATION, OR TRANSMISSION, COMPUTER VIRUS, COMMUNICATION LINE FAILURE, THEFT, OR DESTRUCTION OR UNAUTHORIZED ACCESS TO, ALTERATION OF OR USE OF ANY ASSET, WHETHER ARISING OUT OF BREACH OF CONTRACT, TORTIOUS BEHAVIOR, NEGLIGENCE OR ANY OTHER COURSE OF ACTION BY THE BUSINESS COMMUNICATION NETWORK.YOU SPECIFICALLY AGREE THAT THE BUSINESS COMMUNICATION NETWORK SHALL NOT BE RESPONSIBLE FOR UNAUTHORIZED ACCESS TO OR ALTERATION OF YOUR TRANSMISSIONS OR DATA, ANY MATERIAL OR DATA SENT OR RECEIVED OR NOT SENT OR RECEIVED, OR ANY TRANSACTIONS ENTERED INTO THROUGH THE BUSINESS COMMUNICATION NETWORK. YOU SPECIFICALLY AGREE THAT THE BUSINESS COMMUNICATION NETWORK IS NOT RESPONSIBLE OR LIABLE FOR ANY THREATENING, DEFAMATORY, OBSCENE, OFFENSIVE, OR ILLEGAL CONTENT OR CONDUCT OF ANY OTHER PARTY OR ANY INFRINGEMENT OF ANOTHER’S RIGHTS, INCLUDING INTELLECTUAL PROPERTY RIGHTS. YOU SPECIFICALLY AGREE THAT THE BUSINESS COMMUNICATION NETWORK IS NOT RESPONSIBLE FOR ANY CONTENT SENT USING AND/OR INCLUDED IN ANY BUSINESS COMMUNICATION NETWORK’S SERVICES BY ANY THIRD PARTY. IN NO EVENT SHALL THE BUSINESS COMMUNICATION NETWORK AND/OR ITS SUPPLIERS BE LIABLE FOR ANY DIRECT, INDIRECT, PUNITIVE, INCIDENTAL, SPECIAL, OR CONSEQUENTIAL DAMAGES INCLUDING, WITHOUT LIMITATION, DAMAGES FOR LOSS OF USE, DATA OR PROFITS, ARISING OUT OF OR IN ANY WAY CONNECTED WITH THE USE OR PERFORMANCE OF THE BUSINESS COMMUNICATION NETWORK, WITH THE DELAY OR INABILITY TO USE THE BUSINESS COMMUNICATION NETWORK’S SERVICES, THE PROVISION OF OR FAILURE TO PROVIDE SERVICES, OR FOR ANY CONTENT, PRODUCTS, OR SERVICES OBTAINED THROUGH THE BUSINESS COMMUNICATION NETWORK, OR OTHERWISE ARISING OUT OF THE USE OF THE BUSINESS COMMUNICATION NETWORK’S SERVICES, WHETHER BASED ON CONTRACT, TORT, NEGLIGENCE, STRICT LIABILITY OR OTHERWISE, EVEN IF THE BUSINESS COMMUNICATION NETWORK OR ANY OF ITS SUPPLIERS HAS BEEN ADVISED OF THE POSSIBILITY OF DAMAGES. BECAUSE SOME STATES/JURISDICTIONS DO NOT ALLOW THE EXCLUSION OR LIMITATION OF LIABILITY FOR CONSEQUENTIAL OR INCIDENTAL DAMAGES, THE ABOVE LIMITATION MAY NOT APPLY TO YOU. IF YOU ARE DISSATISFIED WITH ANY PORTION OF THE BUSINESS COMMUNICATION NETWORK’S SERVICES, OR WITH ANY OF THESE TERMS, YOUR SOLE AND EXCLUSIVE REMEDY IS TO DISCONTINUE USING THE BUSINESS COMMUNICATION NETWORK’S SERVICES. The Business Communication Network reserves the right, in its sole discretion, to terminate your account and/or access to the Business Communication Network’s websites or any or all of the Business Communication Network’s services or any portion thereof at any time, without notice. The Business Communication Network will not be liable to you or any third party for termination of your account or access to Business Communication Network’s services. These Terms are governed by the laws of the State of Wyoming, United States of America. You hereby irrevocably consent to the exclusive jurisdiction and venue of courts in Cheyenne, Wyoming, U.S.A. in all disputes arising out of or relating to the use of the Business Communication Network’s websites. 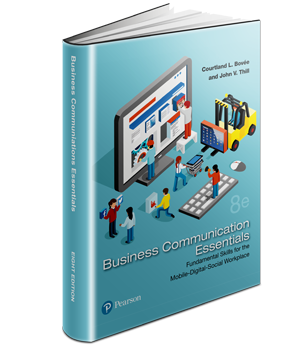 You agree that no joint venture, partnership, employment, or agency relationship exists between you and the Business Communication Network as a result of these Terms or use of the Business Communication Network’s services. Business Communication Network performance of these Terms is subject to existing laws and legal process, and nothing contained in these Terms is in derogation of the Business Communication Network’s right to comply with governmental, court, and law enforcement requests or requirements relating to your use of the Business Communication Network’s services or information provided to or gathered by the Business Communication Network with respect to such use. If any part of these Terms is determined to be invalid or unenforceable pursuant to applicable law including, but not limited to, the warranty disclaimers and liability limitations set forth above, then the invalid or unenforceable provision will be deemed superseded by a valid, enforceable provision that most closely matches the intent of the original provision and the remainder of these Terms shall continue in effect. These Terms and the Rules constitute the entire agreement between you and the Business Communication Network with respect to Business Communication Network’s services and supersede all prior or contemporaneous communications and proposals, whether electronic, oral or written, between you and the Business Communication Network with respect to Business Communication Network’s services. A printed version of these Terms and of any notice given in electronic form shall be admissible in judicial or administrative proceedings based upon or relating to these Terms to the same extent and subject to the same conditions as other business documents and records originally generated and maintained in printed form.